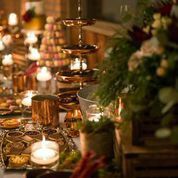 Looking for something different to offer to your guests? 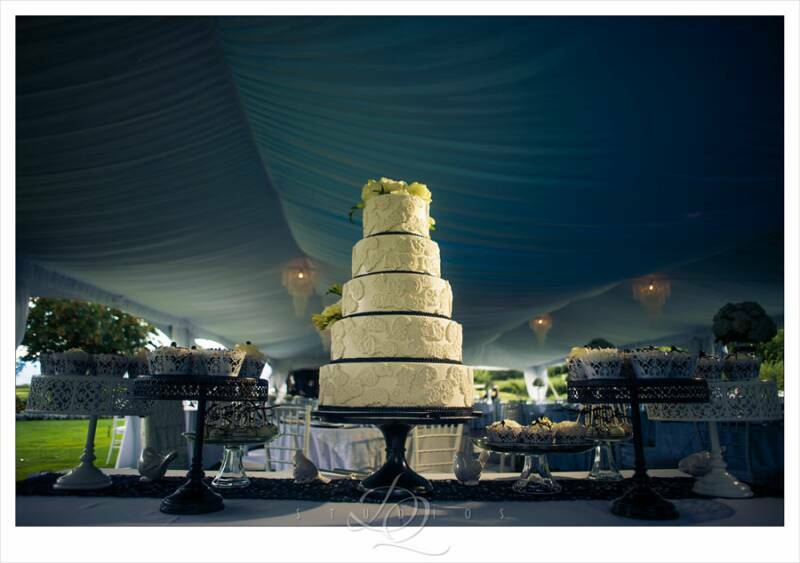 Sweet Tables are the new trend for wedding and events, and are a great addition, or alternative to the classic wedding or celebration cake! Here at Whisk Cake Company, we are all professionally trained Red Seal Chefs, so we can create anything you can think of for your sweet table! 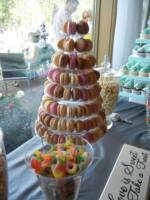 Macarons can be displayed on a tower for your sweet table, or as Wedding Favors for your guests! 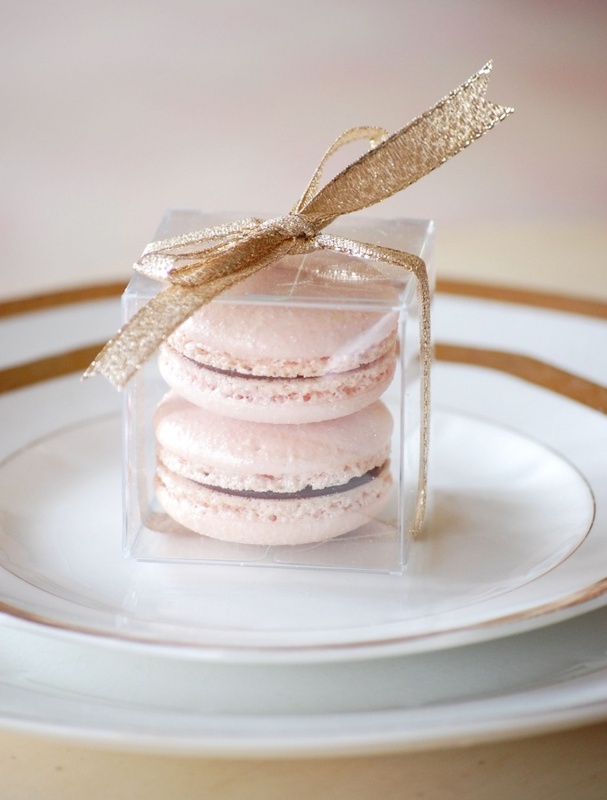 Light and airy, these french delights are popping up everywhere....and we have yet to find someone that doesn't love them! Check out our Social Media for the most recent flavors we've created!! 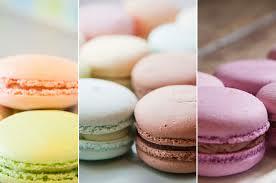 Or, you are welcome to request your own custom color & flavors!!! 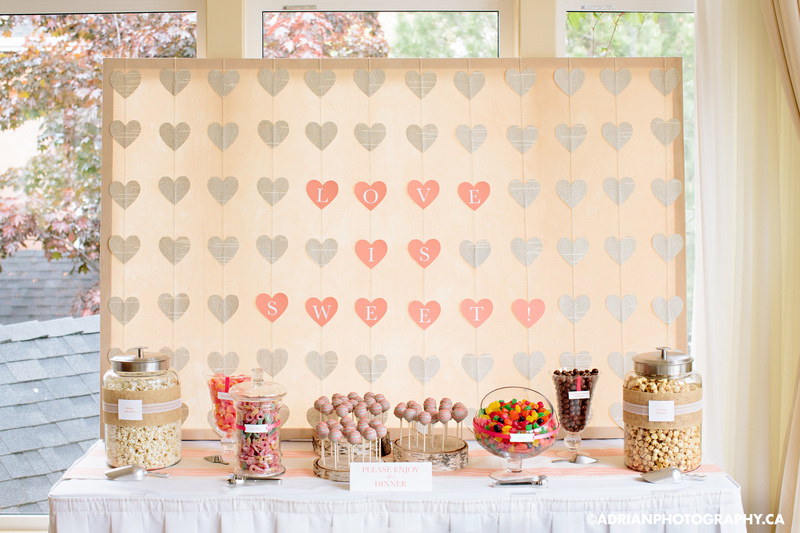 Candy/ Popcorn & Juice Bars are a great addition to any sweet table- and somewhat expected these days! 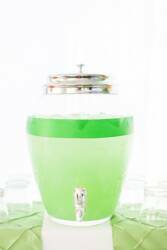 Whisk Cake Company has beautiful Blown Glass jars available for rental for your big day...why buy all of them, spend all that money, and then what do you do with them after? 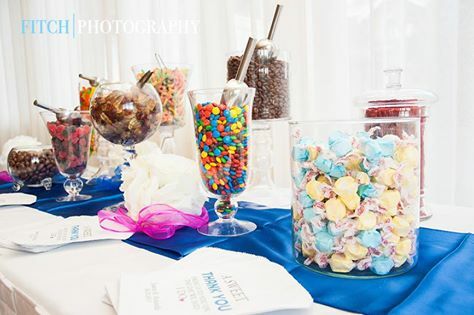 We have all different sizes and shapes to help you create a beautiful table that shows off the mouth watering sweets that will fill these beautiful containers! Looking for candy, but want better pricing than the bulk stores? Contact us for a list of the candies we have available, and the great prices that go with them!! What's better than great pricing....not having to run around town trying to find everything! These 3" diameter straight- sided pies are an amazing addition to any Okanagan Dessert, and as always, are made from scratch using only local Okanagan fruit! Available in unlimited flavor options, and only $4.00 for plain topped pies, and $5.00 for lattice topped pies! 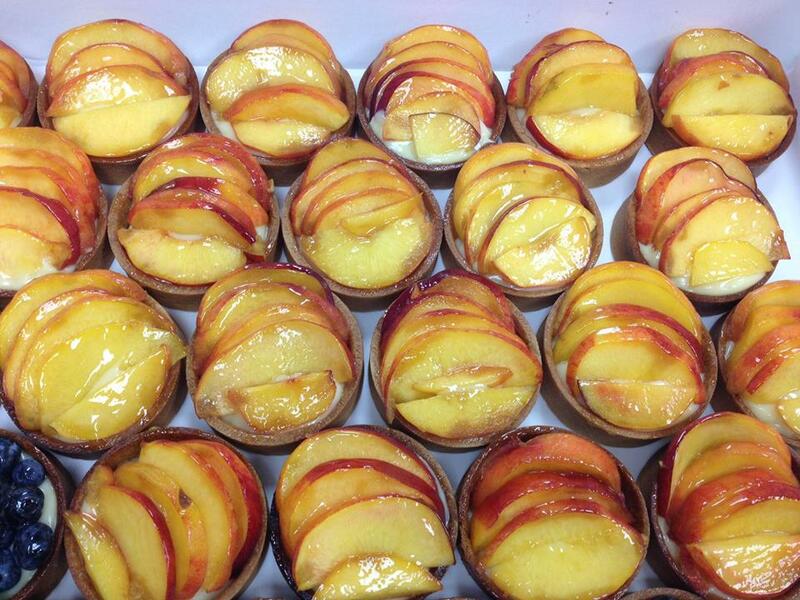 Looking for 2",3" or other sized Mini Pies or tarts? Ask us for more info! Our mini cheesecakes are the size of a cupcake, and available in any mouth watering flavors you can think of! 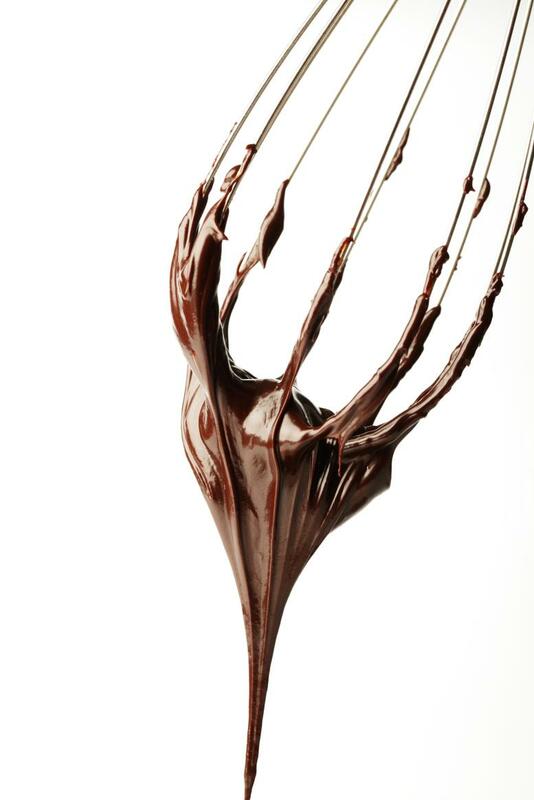 We are also happy to create any flavors that you would like- just ask! Cheesecakes are just $3.50 each! Yes, you read that correctly...gourmet donuts!! The newest trend to hit Canada, these are a lot different than the ones your grabbing at your local Timmies! Looking for something that you don't see on this page? 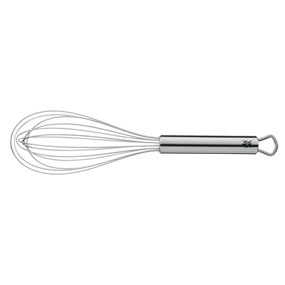 Thats the best thing about Whisk- we can make ANYTHING for your special day....just ask! 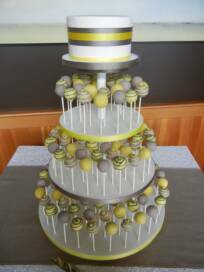 ~ Cake Pops start at $5.50 each, dependant on design! 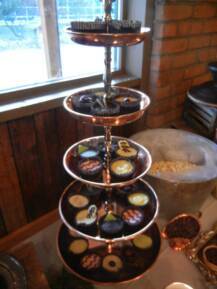 ***Please note: We do not make Mini Cupcakes! Our Gourmet Donuts start at $3.50 for gourmet flavors (like the photo on the left), and $3.00 for plain ring donuts as seen in the photo on the right! 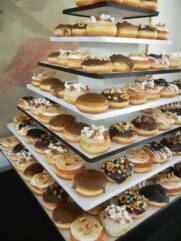 *****We also have our highly requested DONUT WALLS!!! Check out pictures on our Facebook and Instagram pages!!! 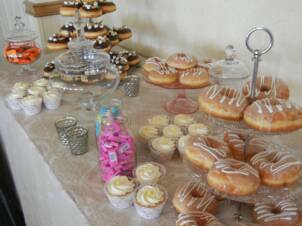 The classic mini treats that are always found on sweet tables! 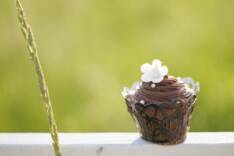 Made from scratch using only local, organic ingredients, and baked THE MORNING of your wedding or special occasion, these are gauranteed to please! 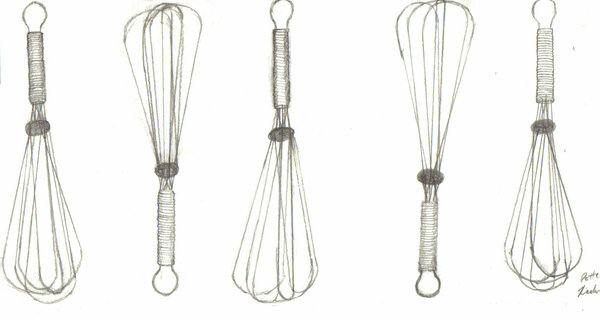 Also, we do not use icing sugar or lard (yes, raw lard is what our competiton uses!) in our icings, so they are nice, light and tasty- not dry & chemically tasting! 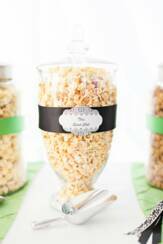 A great addition to your Sweet Table, these amazing, great tasting treats look perfect on your table, and gaurantee to leave a smile on your guests faces! Flavors are unlimited, but check out the flavors that we have done in the last on the left! 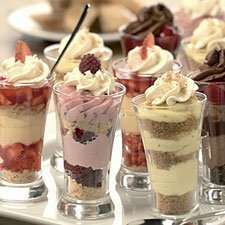 Our Mini Dessert Shooters are $3.25 each! 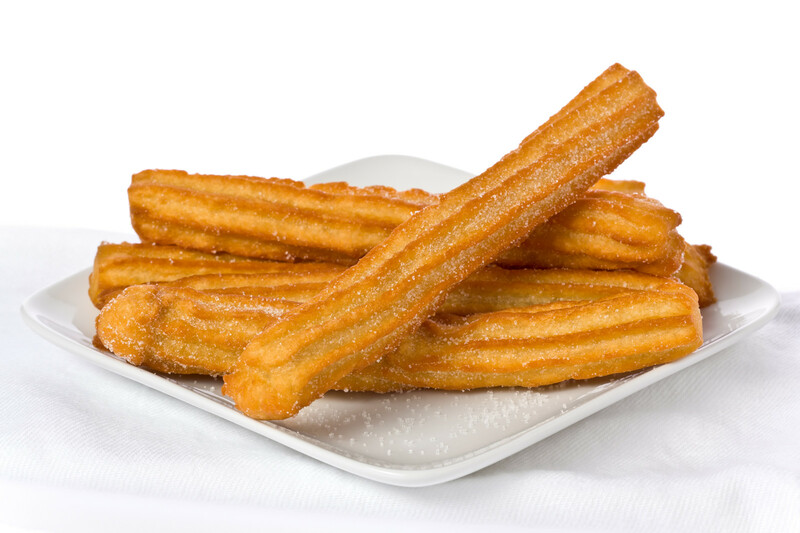 Our newest addition to our Sweet Tables, crispy Churros add an exceptional texture difference to your table, and will be something that your guests remember years later! Our Cinnamon Churros are only $1.00 each!